Welcome to Panama City Beach! 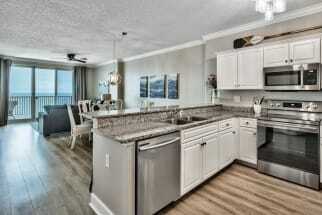 Ocean Villa vacation rental homes is proud to offer you a number of luxurious properties through Emerald Coast by Owner! The homes consist of numerous benefits, elegance and comfort to satisfy you on your stay! Located just a very short trip from the water, is there anywhere you'd rather stay While the properties and location is great, you've got to know what all you can do while you stay here! The possibilities are just about endless when you stay in Ocean Villa Panama City! Just a few suggestions are to go parasailing, golfing, mini golf, race go karts, Ripley's Believe It or Not! Museum, Wonderworks, jet ski rentals, helicopter tours, deep sea fishing, boat tours, golf cart and moped rentals and so much more! If you're into shopping, Pier Park is a great place to go! This shopping center is new and offers you a huge abundance of stores and delicious eats, so be sure to stop by! While we're on food, you don't want to miss a meal down here. Scroll down to browse our Ocean Villa properties. ECBYO makes it easy for you to contact the property owners or managers directly. Be sure to hit the email owner button or refer to the phone number found on each listing to contact the property owner or manager with any questions. 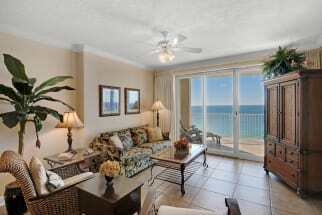 Book your next Ocean Villa vacation today with Emerald Coast by Owner. SPECTACULAR PANORAMIC VIEW!! HUGE BALCONY! !